Kenneth R. Bowling (Ph.D., University of Wisconsin, 1968), Co-Editor, Documentary History of the First Federal Congress, 1789-1791, at George Washington University, and an adjunct associate professor of history there. He is the author of The Creation of Washington D.C. (Fairfax, VA: George Mason University Press, 1993) and numerous articles on topics relating to the constitutional history of the American Revolution. He is author of “New Light on the Philadelphia Mutiny of 1783” in The Pennsylvania Magazine of History and Biography on Dickinson’s role in the incident. He serves on the advisory board of the Papers of Gouverneur Morris. William C. diGiacomantonio (M.A., University of Chicago, 1988), Associate Editor, Documentary History of the First Federal Congress, 1789-1791. 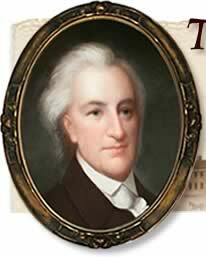 He has published on congressional history, antislavery petitioning, and the early governance of the federal district. Randy J. Holland (J.D., University of Pennsylvania Law School, 1972; L.L.M, University of Virginia Law School, 1998), Justice, Delaware Supreme Court. He is an internationally renowned jurist, author, and former President of the American Inns of Court. He has published several books, including as co-author of Middle Temple Lawyers and the American Revolution (Thomson-West, 2007), a portion of which pertains to Dickinson, and The Delaware State Constitution: A Reference Guide (Greenwood Press, 2002). Richard Leffler (M.A., Ph.D., University of Wisconsin, Madison) is co-editor emeritus, The Documentary History of the Ratification of the Constitution (21 vols., Madison, Wis., 1976-). He is the co-editor of Creating the Constitution (Acton, Mass., 1999) and Federalists and Antifederalists (2nd ed., Madison, Wis., 1998). He is also the author of several articles and papers on the ratification of the Constitution, and he has lectured and conducted seminars on that and related subjects throughout the United States. John van Horne (Ph.D., University of Virginia, 1979), Director of the Library Company of Philadelphia since 1985. Formerly the Editor of The Papers of Benjamin Henry Latrobe (Yale, 1977-1995), Van Horne is the author of numerous articles and the editor of many volumes of documents in various fields of early American history. He has been elected a member of the American Philosophical Society and the American Antiquarian Society.